It’s easy to see why our FREE Checking remains our most popular account choice; it’s simple, loaded with great features, and FREE! Our Student Checking account is perfect for getting a leg up while in school. It has all the features of our FREE Checking and offers some special features to help you get ahead for the duration of your student status along with the bonus of earning interest on your average daily balance of $700 or more. Along with all of the features that come with our FREE Checking, you will receive extra FREE services ­— like free cashier’s checks and money orders — so you can choose to bank the way you want. You can put your money to work for you with our Regular Interest Checking account. With the bonus of earning interest on your average daily balance of $700 or more, it’s a great way to be rewarded for the balance you’re already carrying in your checking account. Your First Federal VISATM Debit Card is accepted for payment worldwide. Use it in a signature-based transaction and you’ll also earn ScoreCard Rewards points that you can redeem for merchandise, discounts, and travel. 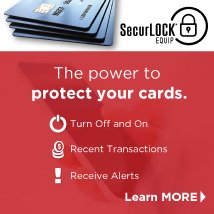 You can get your VISATM debit card issued instantly at any Fist Federal location. If you already have a First Federal VISATM Debit or Credit Card, you're already earning points! Check out ScoreCardRewards.com to find out which rewards are waiting for you! 1 This account is free in the context of there being no monthly service charge. Overdraft protection, returned checks, and other optional services may result in fees and other charges. 2 Limit of two (2) free boxes of basic checks per year. 3 Must maintain $100 minimum daily balance to avoid $8 monthly service charge. 4 Must be 50 or older.